Every single day I am challenged because I have not been effectively listening. It’s unnecessary, it’s unproductive, and it can actually cause discord. Here’s the scene; you are there, you’re in the room, you are standing right in front of someone, you smile, you nod, but what’s going on inside your head? · Is this person for real…..? · I know exactly what I’m going to say next, if I can just get a word in…!!! Membership organizations are struggling to provide relevance that will keep their members engaged in whatever way is valuable to them. Each member is different. Each member has a different voice. Each member WANTS TO BE HEARD. If we come at them insistent on telling them what WE do, then how do we expect to hear what they NEED? In the race relevance, I submit to you that your best shot is to reverse that scene above. Walk into the room and DELETE everything you THINK you should say; silence the conversation in your head. · I’m coming to you to see how you are. · What is it that you need to succeed? · What is keeping you up at night? Ask the question and then SHUT UP and LISTEN. Engaging in listening WILL tell you exactly how you can be relevant to your members or clients. 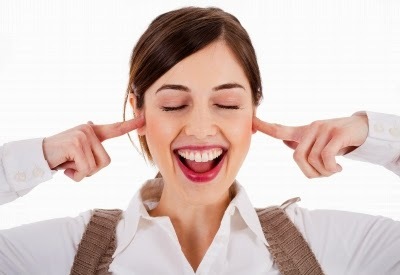 Listening is an art and one that MUST be incorporated into your organizational culture. The words SILENT and LISTEN have the very same letters. You have to BE silent in order to LISTEN so it’s time to hush strategically and see the instant benefit for your organization AND for your partners!! In the early days of my career as a Chamber of Commerce professional someone said to me, “one of the roles of a Chamber is to be a convener”. I believe that; I took it to heart and I used it throughout my time in that role. If there is an issue to face we are much more likely to get to a resolution by convening a group that have a connection to the issue than we ever will if we go it alone. In our efforts to provide leadership for our communities, our businesses, our regions, our states and our industry always look to collaboration as a solution. The insights of all sides are needed to reach a durable outcome. It opens the door for the elimination of polarization. It is a fair and balanced way to reach a solution to an issue; clarifying and determining costs and benefits together. It focuses a diverse group on the real issue and away from their actual “position” on that issue. The collective offers a deeper, more varied look into the issue. If it is in fact a situation that affects many, then many should tackle the problem! When there is an urgent need that can’t be accomplished by one. When there is an issue of concern to many that would benefit from open dialogue. When there is disagreement and antagonism around a certain issue that needs an open, honest forum for dialogue. When your community or organization needs a fresh vision. When what you’ve been doing for so long just doesn’t work any longer. It should be inclusive; involving everyone who has a stake in the outcome. It should have real purpose. Convening a group and then wasting their time will only reflect poorly on you. Participants should feel engaged at the table! It should be self-organizing. The group should set their own objectives, procedure, tasks and topics. It should be creative. If this becomes a homogenous group led by one or two and people are afraid to make a statement about the issue then it is NOT collaboration. They should feel comfortable challenging assumptions. The process should remain open until everything has been explored, all interests have been heard and discussed, all opportunities identified and everyone agrees on the outcome. If you keep having a particular discussion around a certain issue, maybe it’s time to convene a group to take it on. You may not be the right organization for the job, but you can certainly identify the appropriate stakeholder, have a conversation with them, get an understanding on their position and discuss a way to help them pull it together. Frequently it IS our role to lead, but it is very wise to recognize when our role may just be bringing it to someone’s attention and then being a part of the process. Regardless, don’t be afraid to take this kind of action. When we can get people into a conversation about positive solutions it makes our communities and organizations better for all!! A single definition for member “engagement” is really difficult to determine. There is a saying in the Chamber industry that goes, “if you've seen one chamber, you've seen one chamber”; this is because a Chamber is a reflection of the community it serves. The same is true for any organization or non-profit. So shouldn't it follow that if you've seen one member, you've seen one member? There is great variance in member needs, in their connection to value and in the ways members engage and frequently THEY can’t even define it for you. It cannot be narrowly defined as “involvement” because some members just don’t get involved. Engagement is more qualitative in that it is heavily rooted in emotional attachment to some value the organization is offering. If the emotional attachment isn't there, then the reasons for engagement disappear. So, the bottom line is you have to be strategic in identifying ways to quantifiably measure the engagement of your members. If we were going to take a quantitative approach to member engagement, what valid metrics could we use? Number of volunteer hours served. Number of years as a member. Dollars invested during the course of a year. Ratings of the organization following an event or action on a business issue. Are these metrics adequate for all? Absolutely not. The majority of these only address members that are engaged as a sponsor, attendee, or volunteer. Remember participation does not equal engagement! What about the member that is interested in advocacy? Is there a way to measure their engagement? Number of responses to advocacy calls to action; letters to legislators, phone calls to legislators. Visits to City/County council sessions when there is a business issue on the table. Attendance on State House or Washington trips. Commenting on organization social content; sharing it on their own social media sites. Visiting and using their “member only” organization website tools. Unfortunately, many of the things an organization does for its members are what I call “tangible, intangibles”. It’s not like analyzing revenue or retention. Engagement is a mutual exchange of value. We have something members need and we need the member. The only way we can adequately measure our effectiveness is to do the work of analyzing member engagement individually. We have to measure what we have, what we collect and then using that data let it inform us as to whether or not we need to dig deeper with certain members based on the absence of the quantitative. It sounds daunting; it is daunting. However, it is work that will yield long term results. Use, use, use your database. Consistent collecting of a specific list of data will be your most valuable tool in identifying that member who needs a deeper conversation. Establish a ranking system for engagement using the data you collect for each member. Determine a number of points for “activities” based on how you value those activities. Now decide what percentage instantly looks like a member is engaged. If you pull a member’s ranking and it falls below that percentage then they are AT RISK and you need to beat a path to their door for some one on one time. Member conversations need to be about them and what would help their business succeed. Open up this kind of dialogue with a member and they will give you the emotional attachment that would connect them with your organization. Then, by offering them a solution from your organization that goes directly to the source of their need you will gain their loyalty. Continue to evaluate your process. Are you collecting the right data? Do you need to add things to it? Is it working? 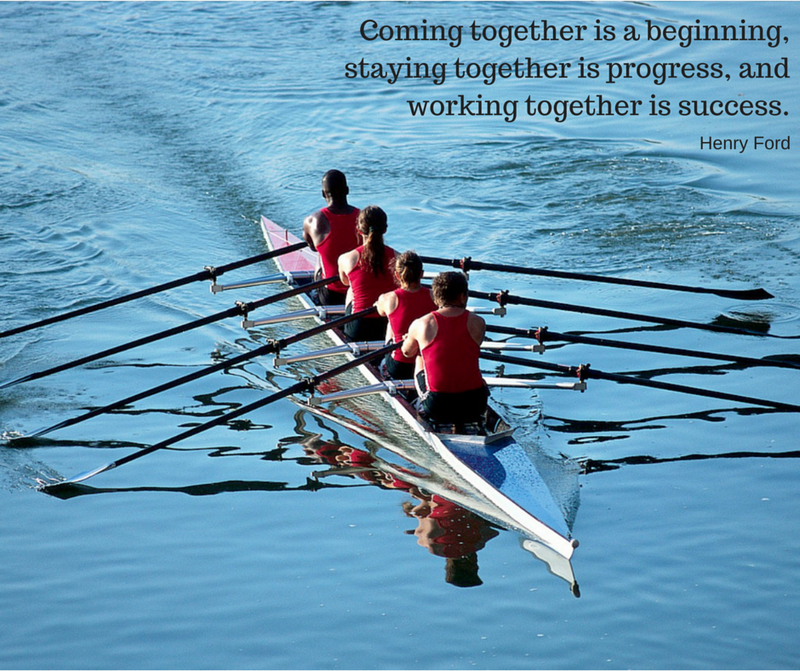 Is everyone on your team contributing consistently? Are you holding one another accountable to the process? I understand that measuring engagement is difficult. It’s individual and it requires both an analysis of the data you have and face time with your members. Everything moves so fast now. The instant you become irrelevant, that member moves on to something that will provide the solutions they need. If you are going to maintain relevance in this space, you are going to have to do this work. Measuring the engagement of each and every individual of your organization may be seem unbelievably time consuming. It IS time consuming. However, the return on that investment could be the best thing you ever do for keeping your organization strong and sustainable!! 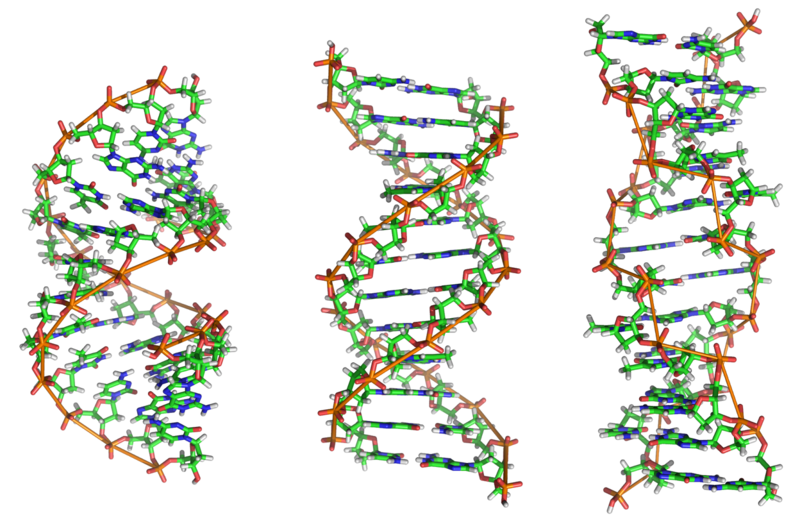 It's time to understand member DNA!! Do you have a team that's ready for 2015?? Happy New Year my friends!! I want to help remind you of some pretty ordinary tools that will absolutely position your team for a fantastic year. We should begin by eliminating assumptions. Individual segments of your "team" may understand their role in your organization but that does NOT mean they have a grasp on the organization’s OVERALL role or even the roles of other staff members. Annual Retreat. When I ask organization executives about staff retreats, they usually say “we take our Board on retreat, but not the staff”. Shame on you. The engagement of an organization BEGINS by having a strategic staff that plans together and spends time AWAY from the office deciding what the group needs to do in order for the organization to succeed. Put a volunteer on the phone and LEAVE the office. If you don’t, someone WILL walk into the building and want a piece of your time. You can’t have a real planning retreat on campus. Fun Days!! I firmly believe that if you will go out and “play” as a group, it will go a long way in keeping you sane on all the other days. Chamber work is daunting. Close the office at noon on a Friday and go bowling. Have a long lunch at a great restaurant that you don’t normally get to go to. Order mimosas at birthday lunches. Go kayaking. No work, just laughing, relaxation and fun DURING work hours. You can figure this out, you CAN! It is so worth the effort. Remember, this is NOT a regular job. Your employees are frequently setting up for coffee and connections at 6:30 in the morning or in their bare feet hauling out the trash at midnight following an evening event. I think you can spring for a couple of hours of fun and bonding for the good of the group! Clean House!! OK, have any of you ever had to move a Chamber office?? You do know how junk piles up in closets, office corners, under the desk, in the attic and in desk drawers, right?? I know you have returned from an event and plopped down four bags of stuff in your office only to see it still sitting there 4 months later. Am I wrong?? So here’s the deal. I used to do this with my staff once a year. One whole day, in INK on the calendar, usually the first week of January, devoted to clearing out the clutter. Put a volunteer at the phones. Everyone comes in cleaning clothes and you just get it done!! Have lunch brought in. It will be one of the BEST bonding days you will have all year and incredibly valuable for your productivity in the long run! Professional Development. Do I really have to say this?? If you don’t have something built into your budget for each member of your staff to support their growth and development then you are not going to have an employee who is engaged in their work. Chamber work is unique and requires specific knowledge. Make sure you are getting them out to the many development opportunities that exist. If the budget is tight, then invest in some of the wonderful webinars that are offered from Chamber consultants or through ACCE or Institute. There is SOMETHING affordable out there; find it! Chamber Mentor. Whether it is managing payroll or volunteers, there is someone doing a great job at another Chamber. Remember, you are looking for compatible learning opportunities that will engage your staff with Chamber work. Find a Chamber in your region and make introductions between employees with the same job responsibilities. Let your staff person go and shadow their counterpart. Make sure they feel comfortable reaching out and asking questions of their mentor. The learning curve will be much shorter with just this one little effort and with NO hit to the budget. We learn from each other and we LEAN on one another for understanding! Community Involvement. A fundamental role of a Chamber of Commerce is to engage in community. We exist to see that our businesses thrive, that we are working for a healthy local economy and a great quality of life for all. These affect our entire community. Don’t let staff overdo it, but absolutely encourage them to engage with some aspect of your community. Invest in membership to a civic organization, allow them to occasionally participate on a focus group or planning group, give them some time off to work with the blood bank. It doesn't matter what, just something that engages the Chamber team with the community. One caveat: have a policy regarding this involvement or you will hire that one employee who doesn't know how to say no. At the end of the day, they do have a job!! You may have a staff of 2 or 20. The size doesn't matter. Their connection to the Chamber does. Engagement begins at “home”. You can’t possibly hope to engage members and volunteers if the home team doesn't even have a clue!! Build a team that can't HELP but be amazing in 2015! !